When I was learning to drive in Charleston, WV, I had two options: A 12 year old bright orange 4 speed stick shift Toyota, perfect for the steep hills, or a full-sized Dodge Van, ideal for the narrow roads. (Lest you be too young, this was way before cute small mini-vans. This was a FULL SIZE VAN, of the RAM TOUGH sort. What I also had was a teenager’s brain, with its overly sensitive limbic system (read emotional, reactionary, over-the-top hysterical) and sorely underdeveloped prefrontal cortex (read where the pros and cons of the situation are calmly analyzed and decisions are consciously made.) A vicious cocktail, as we now know, for the teenage brain is more labile, and the limbic system more active than at any other time in life. Yes, more even than the tantrum-filled terrible twos. Who at least have less horsepower at their disposal. All this helps explain one particularly embarrassing and expensive fight I had with my younger sister, who was, of course, running late. We were both in the marching band, and needed to be at the school in time to catch the bus for the Friday night football game. I hated to be late. I still hate to be late, but at least now my prefrontal cortex has the ability to regulate my emotions better, and ask, “Is it really that big a deal?” When I was a teenager, no such reflection was possible and YES IT WAS A VERY BIG DEAL that we were late. So when I slammed the door from the house to the garage and stormed my way to the bright orange four speed Toyota and slammed the car door and threw it into reverse and floored the gas pedal without looking in the rearview mirror? It should have come as no surprise that I drove right through the garage door. Which was still down. Because in my fit of rage and a brain hi-jacked by the limbic system like a runaway car with no brakes, I had forgotten to push the button that would raise the garage door. There are lots and lots of reasons I would not return to my teenage years. Most days I’m thankful I lived through them the first time. But the reactivity of the teenaged brain ranks right up there. These brains are great for surviving the savannah; not so great (left to their own devices) at surviving 21st century non-lethal threats. But these brains come with the capacity to work with us, not against us. We just have to know how. 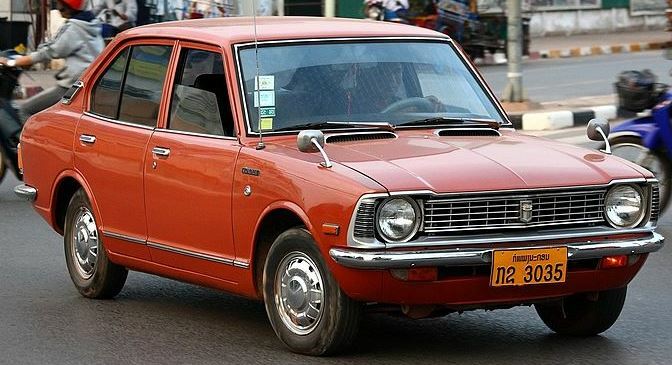 In the meantime, watch out for a 1972 orange Toyota corolla. It might have splinters from the garage door embedded in its bumper. Goodness! Sometimes I think my teenage brain is still hanging around. Will it ever go away? !